While there may be a major art event happening in town this weekend, Friday night was a somber evening for the Salt Lake City art scene, as two galleries officially closed their doors. --- The very public one on full display was Kayo Gallery, which, due to lack of public funding and the inability to continue on her own, left owner Shilo Jackson no choice but to shut the doors to the iconic alternative-art gallery that featured fantastic local artists and gave many of them a venue when more “established” galleries wouldn't dare feature them. You can check out photos of the last exhibition in this gallery from Friday night. 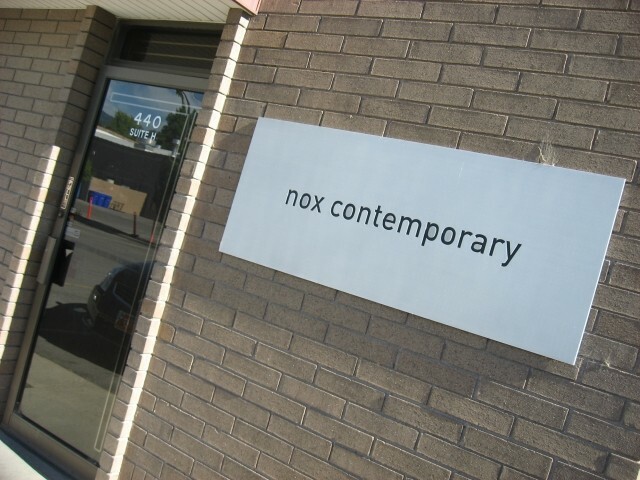 The other gallery that not many knew was closing -- including myself -- was Nox Contemporary. 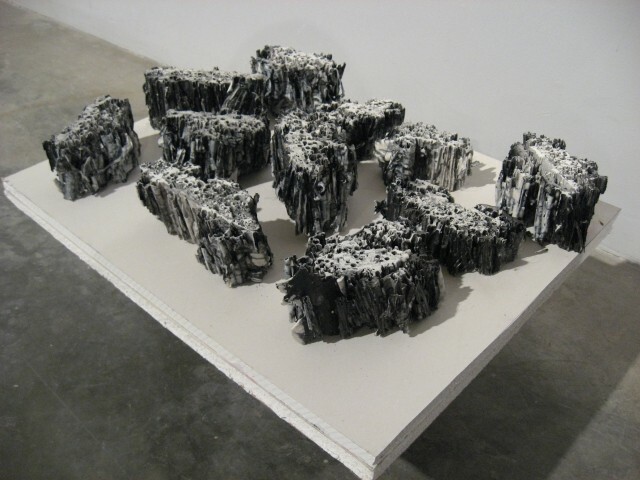 The underground and occasionally controversial gallery housed across the street from Area 51 and Sin City in a private business strip saw great exhibitions during its run, but owner John Sproul no longer had the time and money to contribute to the cause, making this month's Gallery Stroll his last at Nox. I was fortunate enough to catch the last showing from artist Colour Maisch, whose works will be on display for private viewings for the next month, by appointment only. I chat with her about her career and what she has on display, along with pictures from the last night at Nox in this gallery here. 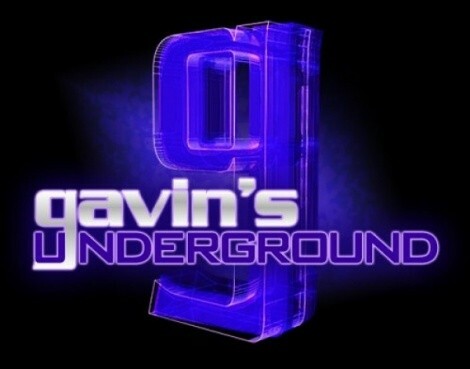 Gavin: Hey, Colour. First off, tell us a little bit about yourself. Colour: Let’s see, I am a mid-30s woman living in lovely SLC. Colour: I grew up around art -- my dad and uncle are both ceramic artists and my grandma is a painter. I think seeing my Dad’s unusual use of materials and ideas was hugely influential, though I didn’t make art myself or get interested in it on a personal level until my later 20s. Gavin: You originally attended the University of Utah in Spanish and political science, but you went back to study art and earned your MFA. What made you choose the U both times, and why the return for art rather than major immediately in it? Colour: Like I said before, I wasn’t initially attracted to art. I went to college right out of high school and had no idea what I was interested in studying. I did know that I wanted to do something very different from what I had always known. Spanish was great because it gave me an excuse to travel while in school, and political science was interesting; that’s about the depth of my choice of those two degrees. After moving to Southern California in my early teens and finishing high school there, I was ready to leave the sunshine state; it was not really my speed, though it was a great experience that I would not trade. I was born in Utah and have ties here, so it seemed like a great place to go for college. Having lived here now for over 20 years, my roots are deep, and while I wanted to get an MFA, I wasn’t interested in giving up the life I have made here with my husband, business partner -- I have a catering company called The Blended Table -- the mountains, etc. Plus, I knew that there were several artists teaching at the university that I wanted to work with. And, I have to say that I have had an amazing experience and great mentors. 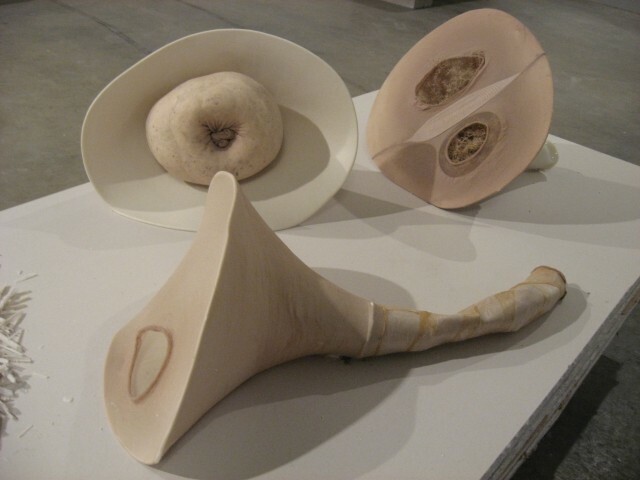 Gavin: What specifically drew you toward sculpture, and how was it learning the craft while you were there? Colour: I love the physicality of working three dimensionally, and I also love that, at least in my world, there aren’t any rules with sculpture. Gavin: How was it for you doing local exhibitions while still learning the art form all the way through your degree? Colour: I think that it’s a great way to explore what works and what doesn’t, though not always the most comfortable way. 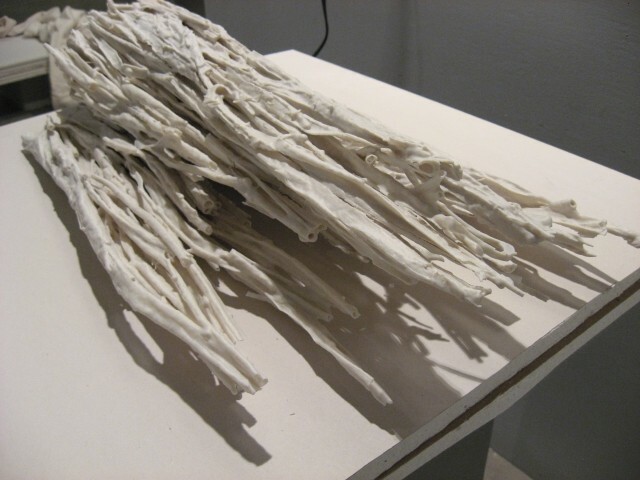 Gavin: What's the process like for you when creating a new sculpture, from concept to final product? Colour: I don’t really have a set process. Most often, I become very interested in some idea or material that I need to explore more deeply. I am a gatherer and assembler a lot of the time. I will have no idea why I need to make such and such or gather this weed or that hose, but, eventually, it all becomes clear and the materials find a home in a work. I guess it’s a little like putting a poem together with words except that I am using materials/objects. Gavin: How often do you change your methods for creating new pieces and exhibition sets? Colour: I haven’t been at this too long so I haven’t had that many opportunities to change my methods yet. I have a pretty strong aesthetic or, rather, I have a strong attraction to a certain type of visual imagery that I have yet to leave behind; I don’t know when or if I will. Right now, it is still working for me and still very interesting. I guess I would hope for a more organic evolution. I tried adding color into some of my work and it was like a little kid rebelling. I started with fluorescent pink -- not a good intro into color. Perhaps when I am 90, I will have naturally made my way to fluorescent pink, but it might take me that long. Gavin: Do you play with your creations a lot during the making, or do you stick to the idea you have at the start? Colour: It is almost all play, and even after I have “finished” something I will still probably change it again at some point to an arrangement that makes more sense at the current time. I do struggle a lot with committing to a final “finishing” point on a work. That does not feel like play, it feels like pulling teeth. Gavin: What got you interested in panels and drawings, as well as your video stills that you've created? 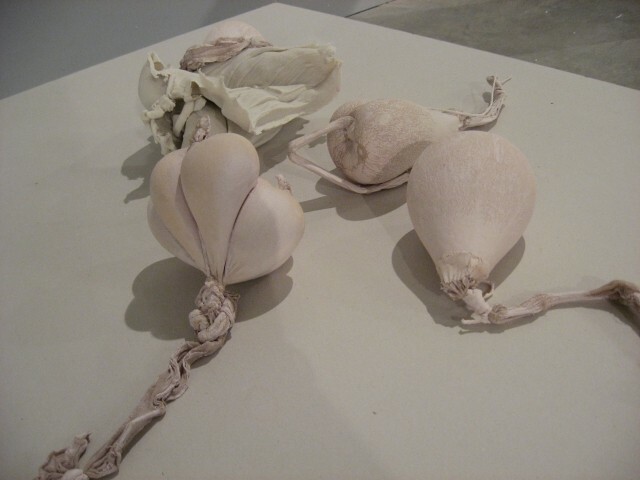 Colour: Video is a lot like clay; it is very malleable and plastic. I think there is something about the ability to take really boring, mundane things and transform them via video that is attractive. I feel that way about a lot of the things I choose to work with. They just need a little re-framing. As far as the panels and drawings go, I think it is another way to explore ideas. I worked with Sandy Brunvand last year and we did a lot of drawings and that transformed my relationship to 2-D work. I have always been a bit self-conscious about my drawing ability because I can’t draw realistically. For whatever reason, that was hard to let go of and just enjoy the process. 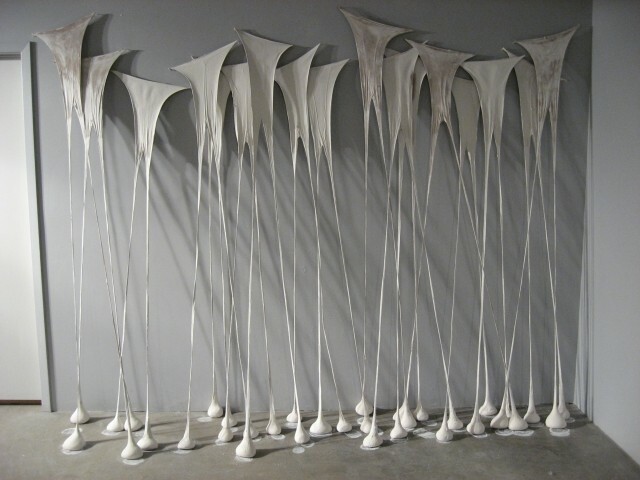 Gavin: Are you looking to branch into other areas more frequently, or maybe stick with sculpture, with other genres and interests off to the side? Colour: I have no idea. Right now, simply riding my bike and sleeping pretty good. I will say that I am not a purist in any way, so branching off into other types of work might just happen naturally. Colour: I am showing a body of work I have titled "The Soft Animal Of Your Body." The title comes from a line in a Mary Oliver poem called "Wild Geese." 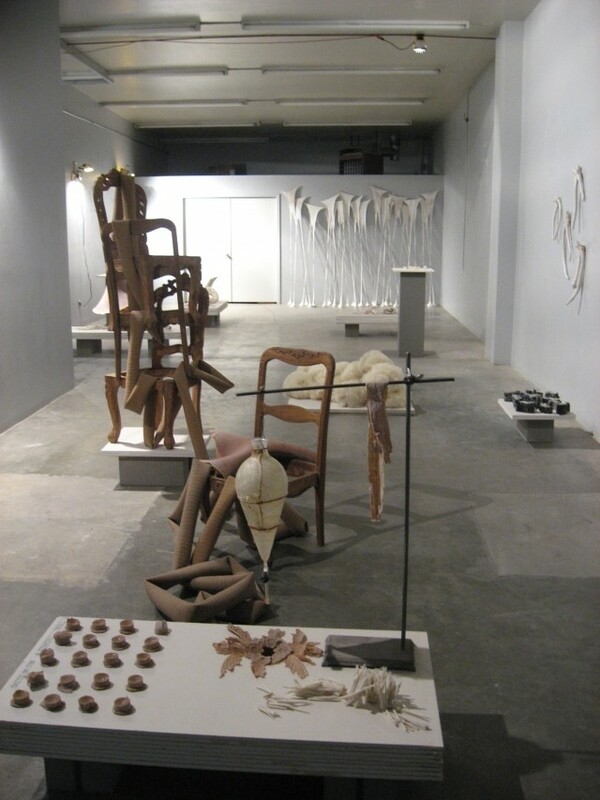 I used lots of different materials for this body of work: clay, milkweed, latex, rubber hose, wood chairs, nylon stockings -- I think this is my attempt at creating a primal logic or poem that may not make sense in a linear way but, hopefully, connects with the gut’s way of understanding the world. 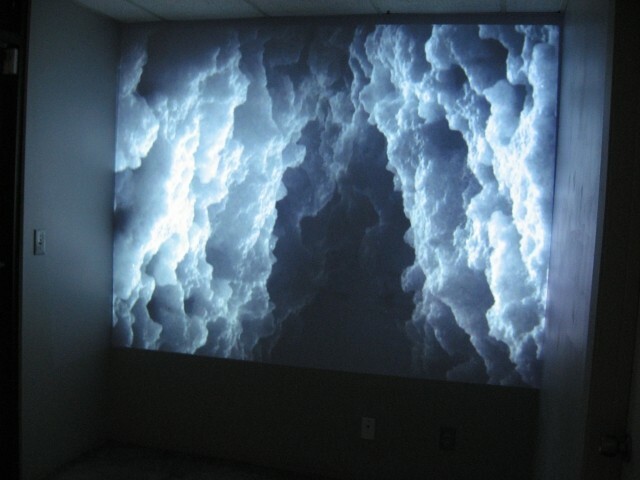 Gavin: How has it been for you working with Nox Contemporary and utilizing its unique space? Colour: John Sproul has been great, and the space has been fun to work in. It is a clean slate. It’s nice to have that as a backdrop for work. Colour: I think there are amazing people working in Salt Lake. Sometimes I wonder if enough credit is given to the local artists who are doing great work. I do think places like UMOCA are doing a good job incorporating Utah artists into their shows. I have heard a lot of artists say that they don’t show here, for myriad reasons. Perhaps there is a perception that only certain types of work will fly here. If you are in the commercial market, that might be true, but I think there is a great audience for innovative, contemporary work. Colour: I have no idea. Marketing of any kind is not my strong suit. I am still struggling with Facebook. 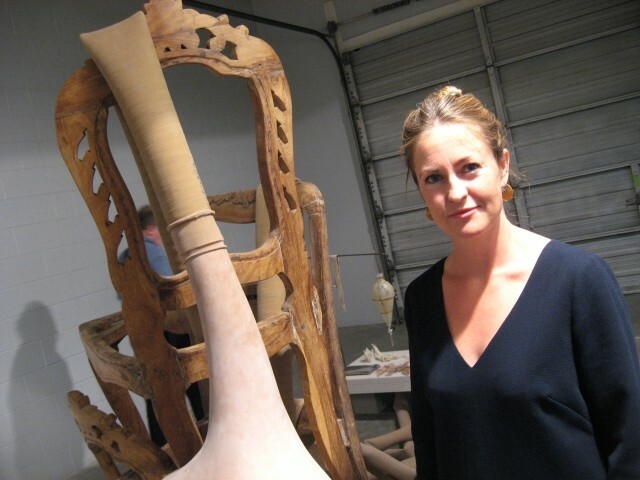 Colour: I love Beth Krensky’s work; Sandy Brunvand; Lauren Gallaspy is a new ceramics professor here who does AMAZING work; Jorge Rojas; Gary Vlasic; Brian Patterson; Corey Day; Mary Toscano... I know there are a lot more who I love and just can’t think of them right now. Colour: I have to be honest, I am a bit of a hermit, so Gallery Stroll is a little hard for me. With that said, I think Gallery Stroll is great for promoting local art and getting people out. I think the social aspect of it also has people see a lot more art than they might otherwise see, which is always a good thing for everyone involved. If I were a bit more social, I would probably love it. Colour: I am not sure right now. 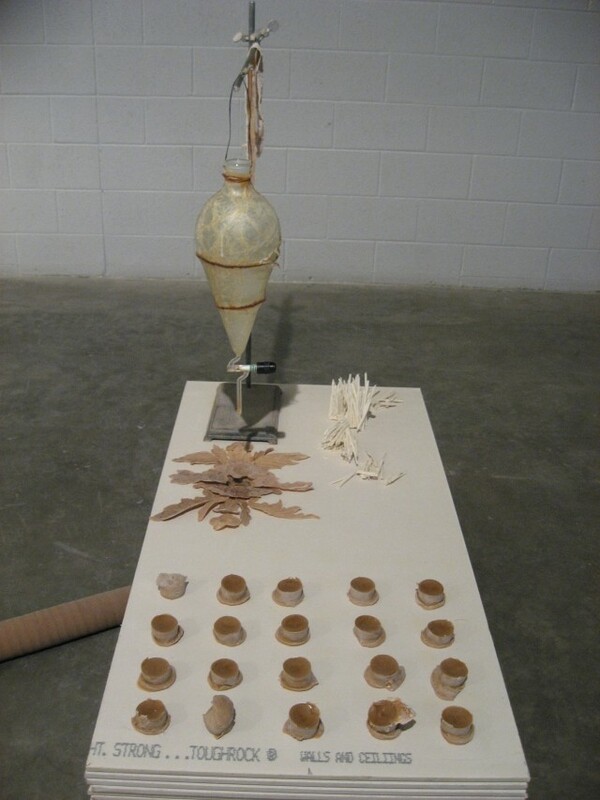 I am starting a residency at UMOCA that I am looking forward to. 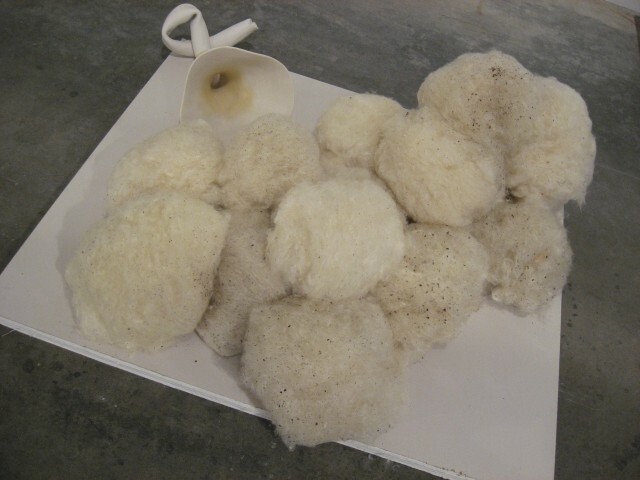 I am interested to see how the exposure to outside curators and visiting artists will affect my process and ideas. At this point, I am totally open. Colour: I guess something that I didn’t know before starting the MFA program is that the university brings in amazing artists for talks and these are all free and open to the public. It is one more way to get access to art and ideas from outside of our community. I would also encourage people to visit several other MFA shows that are opening this summer. The work of Adam Christensen is up now in the art department and is a fantastic drawing show, and later this summer, Amy Noorlander is having an exhibition that will be worth seeing, for sure. Thanks for giving me the opportunity to talk about some of what I do and love.